We've got 4 weeks left in our 'This Is My Year' fan-challenge Thanks to all who voted last week and we welcome you to participate again. We've been breaking artists since '05, and are always looking for the best up-and-coming MCs to showcase at A3C Festival & Conference. We listen to hundreds of hip-hop artists each week looking for talented indie artists from around the world. Every Monday we select 6 of our favorite MCs and ask the hip-hop community to vote for their favorite. The top 2 vote-getting artists are invited to perform at 2018 A3C Festival & Conference. Voting starts today and ends on Friday at 11pm EST. You can vote once a day. If you are an artist and would like an opportunity to perform at the 2018 A3C Festival & Conference, you can submit today. Over 5,000 artists have performed on our stages including: A$AP Rocky, Action Bronson, J.I.D, Lil Pump, Danny Brown, G-Eazy, J.Cole, Lil Uzi Vert, Schoolboy Q, Ty Dolla $ign, Dave East, Vince Staples, 21 Savage, Rich The Kid, Wiz Khalifa, Rapsody, Young Thug and thousands more. We review hundreds of artists each week (submission info) and pick 6 of our favorite artists... but we want the final decision to up to the fans. Come back each Monday and discover 6 dope underground hip-hop artists from across the world. You can vote for your favorite artist every day. The two artists with the most votes will be invited to perform at #A3C18 in Atlanta! Voting ends on Friday at 11pm EST. CydIf you show your support for up-and-coming hip-hop artists and VOTE, we’ll send you a discount code for $10 off an A3C, Festival or Conference pass. Nick Carter Green is a multi-genre musician and creative director from Chicago, IL. With no intentions of establishing a signature sound, he is striving to be our first, truly multifaceted musician. Get to know more about Nick Carter Green and watch "Nineteen". Dave $tokes is a 21-year old, up-and-coming underground rapper based in Baton Rouge, Louisiana. His music embodies soulful stories with a southern twang and an easy going vibe. Get to know more about Dave $tokes and watch "On The Fly". Mike Xavier is american hip-hop artist from Los Angeles, CA. As a gifted songwriter who's delivery is clear and precise, his songs are sure to captivate you from start to finish. Get to know more about Mike Xavier and watch "Time to Reflect". Chuckie Campbell is an American hip hop artist who lives in Buffalo, NY. For live performances, Campbell performs with a 6 piece live band to make for a dynamic, powerful, and eclectic approach to hip hop, filled with fluid instrumentation, lush musical arrangements, and heartfelt poetic nuance. Get to know more about Chuckie Campbel and watch "Smoke". Sasha Renee is a Louisville female rapper making her own waves. Sasha has a flow that recalls the best of the golden-era of hip-hop. Get to know more about Sasha Renee and watch "My City". TROOFFOREVER is a hip hop artist/ songwriter born and raised in Washington DC. His artistry gives a soulful style with a witty hip hop sound. Get to know more about TROOFFOREVER and watch "Get Paid". 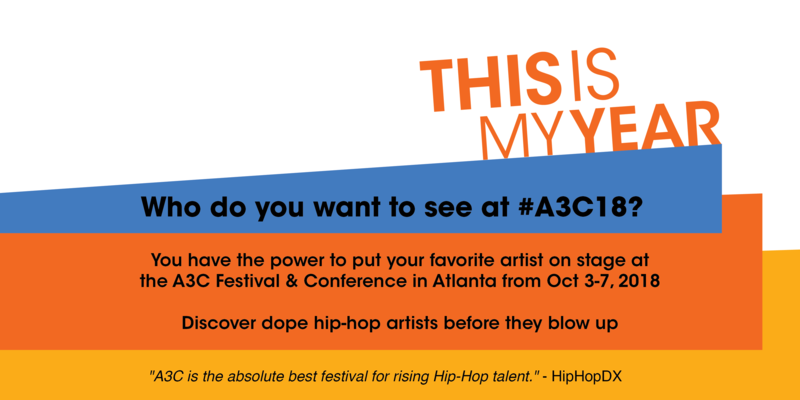 A3C educates and empowers the artists, entrepreneurs, and creatives that shape hip-hop culture. 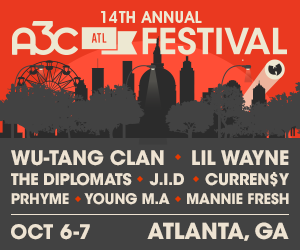 Founded in 2005, the A3C Festival & Conference has grown from a local showcase to become one of the most important hip-hop events of the year, which is commonly referred to as “Hip-Hop’s Family Reunion." All 3 Coasts (A3C) gather annually in Atlanta to connect, create and build together. The A3C Conference is the best event to network and learn from the innovators, entrepreneurs and music makers that shape hip-hop music and culture. Over the 3-days A3C hosts dozens of panels, workshops, mixers, mentor sessions and interviews with hundreds of tastemakers, thought-leaders and industry experts. Marcus is a vibe curator, a GSU Alumni and an A&R for A3C.